Imagine knowing from birth that you are not unique. You have a twin, born to a completely different family, a completely different life. And before the two of you turn twenty, one of you will be dead. In the world of Dualed Everyone is a killer. You train your entire life to kill you genetic twin, to prove that you are worth a future. Would you be the one to survive? 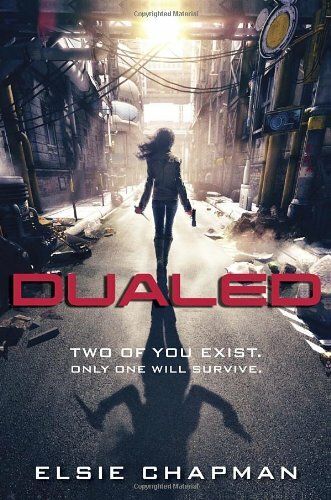 Elsie Chapman joins us today to talk about Dualed and the upcoming sequel Divided. When was the moment you realized you wanted to be a writer? I think there were multiple moments when I was a kid when I seriously considered the possibility. Probably every time after I finished an awesome book, or when one of my teachers really liked something I wrote. But it wasn’t until I was older and the kids were more independent that I acted on it. What is the strangest thing you've learned or done while researching for this book? How to badly maim someone without killing them, or why a pocket knife might be chosen over a switchblade depending on the situation. Usually it had something to do with a fight scene. I also had to look a bit into genetics. What scene in your book was the most memorable to write? Memorable…I really enjoy writing action scenes, so I associate good memories with those. Some of the softer scenes between West and Chord were tough for me, though. I had to learn how to make them open up to each other. If you could pick one of your secondary characters for a spin-off series, who would it be and why? Either Dire or Baer. They both have interesting side stories. What has been your favorite moment in your career so far? Seeing how happy my kids are whenever they spot my book in a store. And this past summer I did Word Vancouver, so it was cool that they could attend and see me do something other than sit in front of my laptop all day long. BONUS 1: If you grew up in the world of Dualed, do you think you would be the one to survive? Nope, not at all. I’m a big chicken. I’m super uncoordinated and way too loud to be stealthy in any way. BONUS 2: If you could pick a theme song for West, what would it be? Run by Snow Patrol. I listened to that one a lot while I was writing Dualed. I love its atmosphere and how it’s both uplifting and sad. 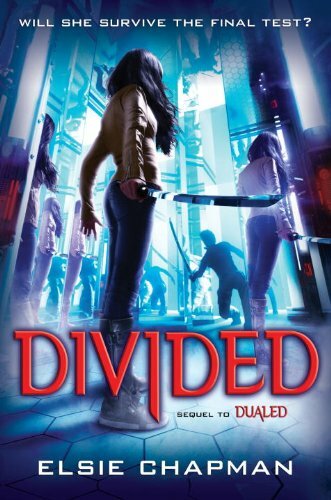 Dualed is available now from Random House Kids, and Divided is due out later this year! In the city of Kersh, everyone must eliminate their genetic Alternate twin, raised by another family, before their twentieth birthday. West Grayer, 15, has trained as a fighter, and has one month to hunt and kill her Alt. A tragic misstep shakes her confidence. Guilty, grieving, she feels unworthy, runs from her Alt and from love - both can destroy her. West Grayer is done killing. She defeated her Alternate, a twin raised by another family, and proved she’s worthy of a future. She’s ready to move on. The Board has other plans. They want her to kill one last time, and offer her a deal worth killing for. But The Board is lying, and West will have to uncover the truth of the of the past to secure her future.